Cable SJT 4x18 AWG UL, heat resistant, 4conduct., 0.75mm², white Heat resistant cable SJT 4x18 AWG UL, 4conduct., 0.75mm², white. Lead-acid Battery 12V, 100Ah, M8, OT100-12, OUTDO These encapsulated lead acid batteries are from the Valve Regulated Lead Acid Battery series - encapsulated non-serviceable rechargeable batteries. They are manufactured using AGM (Absorbent Glass Mat) technology, ensuring high performance and extra power at optimal capacity and weight ratios. List Price: 399.00лв. VAT Incl. Battery 75Ah, traction battery, 12V, M6, OT75-12, OUTDO These encapsulated lead acid batteries are from the Valve Regulated Lead Acid Battery series - encapsulated non-serviceable rechargeable batteries. They are manufactured using AGM (Absorbent Glass Mat) technology, ensuring high performance and extra power at optimal capacity and weight ratios. Sealed Lead Acid Battery 12V 40Ah OT40-12, OUTDO VRLA Batteries (Valve Regulated Lead Acid Battery) are lead-acid-encapsulated unattended batteries. They are manufactured using AGM (Absorbent Glass Mat) technology, ensuring high performance and extra power at optimal capacity and weight ratios. List Price: 169.00лв. VAT Incl. 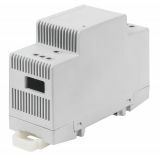 Contactor 1P, 230VAC, 25A, LNC1-25, NO Monophase contactor model LNC1-25 with coil 220 VAC and rated current of 25 A with one normally open contact. Price 2.31лв. VAT Incl. 2.19лв. VAT Incl. 2.08лв. VAT Incl. 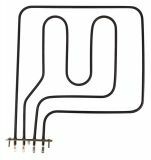 Electric heater, tubular, 2.5kW, for water heaters boilers "Flamina" Electric heater for boilers "Flamina", tubular, 2500 W.
Heater for oven, 2000W, 220VAC, 353х338х6.5mm Oven heater with rated power 2000 W and a rated voltage of 220 VAC. Speaker rubber foot Ф34mm, Ф6mm Rubber foot for speakers with external diameter 34 mm and mounting hole diameter Ф 6 mm. Price 0.56лв. VAT Incl. 0.53лв. VAT Incl. 0.50лв. VAT Incl. 0.48лв. VAT Incl. 0.45лв. VAT Incl. 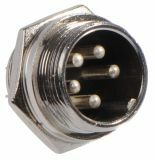 Connector, socket 5 pin panel mount, male, metal Cable connector, male with 5-pin for wall mounting. The clutch has a metal body which makes it extremely durable. Price 3.15лв. VAT Incl. 2.99лв. VAT Incl. 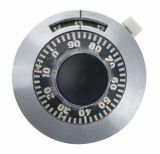 Precise Knob Precise knob for potentiometer with counting dial, dimensions ф 26 x 30 mm, shaft diameter ф 6 mm, with lock. Price 0.67лв. VAT Incl. 0.60лв. VAT Incl. 0.56лв. VAT Incl. 0.53лв. VAT Incl. List Price: 0.95лв. VAT Incl.